MT Mechelec was formed in 2007 and provides specialist filtration, separation of fluids and cleanliness control to a wide base of sectors including: Oil and Gas, Powergen, Petro-chemical, Manufacturing, Marine, Paper, Renewable and Pharmaceutical industries. We are an independent company that can offer the best solution to the customer based on efficiency, performance, cost and serviceability. We are specialists in Hydraulic Engineering and have the knowledge and experience to help solve your issues. We specialise in ensuring that our client’s filtration systems have been selected correctly to meet the required system cleanliness, and in providing equipment to ensure that the system is moisture free and monitored at all times. Our approach minimises downtime of component failure and heavily contaminated control oils/products. MT Mechelec offer a full maintenance and breakdown service on all types of filtration, separation and process systems and offer on-site support to manufacturing plants with breakdowns, installation, continuous improvements, energy savings and planned maintenance. 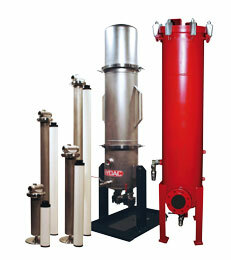 We offer fluid dewatering on site. We keep a wide range of filters in stock, that can be shipped the same day. We specialise in commissioning and setting up systems for clients, and manage spare parts, service intervals and 24/7 support. Our aim is to provide the complete solution to our customers’ needs without compromise in quality, performance or health and safety. MT Mechelec continues to build on a strategy of business diversity based on the core strength of hydraulic engineering excellence. We believe that regular Oil Analysis and Oil Sampling is key to ensuring system health and component protection, and we can manage this process completely for our clients. Our head office is located in Portsmouth with additional facilities in Aberdeen. Our service engineers are located nationally for a quick response. Need a quote for replacement filters ? Just fill in your details in the form opposite and we will get back to you within 24 hours. Matt has worked on a number of specialists plant maintenance projects over the last 10 years. He has shown good knowledge and understanding of the required requirements, and provides a quality service and workmanship to ensure downtime is kept to a minimum. Since 2007 MT Mechelec have provided excellent and cost effective service for our Gas Turbine oil filtration equipment , highly recommended for critical equipment service and repairs. Steve Duddridge, Operations, RWE Cogen UK Ltd. I have used MT Mechanical & Electrical Services for years it has very professional & technically minded engineers that are always willing to help & quick to react to assist our maintenance capabilities. They have a wide field of expertise that has helped considerably to keep my manufacturing plant operational, always punctual & willing to stay late to fix my problems. Keith Woods, Maintenance Supervisor, Lewmar Ltd.